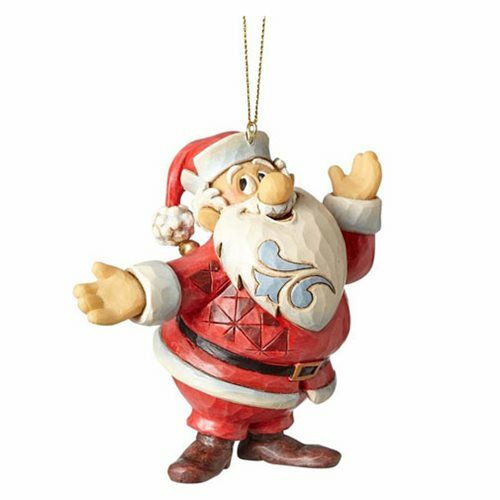 Christmas isn't Christmas without Santa Claus, so include this very special Frosty the Snowman by Jim Shore Santa Ornament in your holiday decorating plans this year. Inspired by the 1969 animated Christmas television special Frosty the Snowman, and made of stone resin, jolly ol' Saint Nick measures 4 1/4-inches tall x 4-inches wide x 2 1/2-inches long, ready to add some joy to the season. Ages 14 and up.